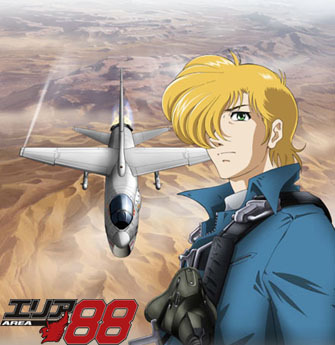 Deep in the sandy plains of the Middle Eastern kingdom of Asran, Japanese photojournalist Makoto Shinjou travels to the remote airbase Area 88 to document the activities of the mercenaries who destroy the country's enemies for a living. Among their ranks is Shin Kazama, a Japanese ace pilot who was tricked by his former best friend into signing a contract with the Asran's fighter squad. Because of this, he lost his career as an airline pilot and the chance to marry his fiancee Ryoko Tsugumo. Now, Shin has three choices in order to leave Area 88 and return to Japan: serve the mercenary group for three years, earn US$1.5 million, or desert the base, risking imminent death.